Parkland Carpet Cleaning | Carpet Cleaning Parkland, WA | Carpet Pros, Inc.
Are You Looking For A Professional Parkland Carpet Cleaning Specialist? The professional s at Carpet Pros, Inc. provide superior quality carpet cleaning services to residential clients in Parkland. Our Parkland carpet cleaners are dedicated to creating beautiful living space for your family, and to enjoy the space for years to come. Our Parkland carpet cleaners service all types of residential homes with complete knowledge and expertise. The experience of our Parkland carpet cleaners set us apart from our competition. We specialize in carpet cleaning, upholstery cleaning, stain removal. tile and grout cleaning, pet damaged carpet, seam repair, carpet cleaning service and more! For a complete list of what we offer please visit our services page. 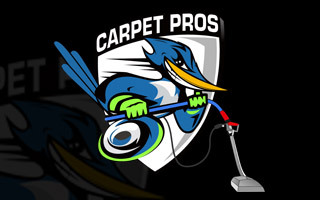 Carpet Pros, Inc. is committed to providing our Parkland clients with the finest quality carpet cleaning service with professionalism and attention to detail. We take care of each client’s needs from start to finish and are available around the clock to answer any questions you may have or clarify anything about your project. We are there for you throughout the entire process. When you’re living in Parkland, Washington or the surrounding regions, leave the carpet cleaning work to the professionals at Carpet Pros, Inc. If you are looking for a Parkland carpet cleaning company, then please call 253-460-5960.